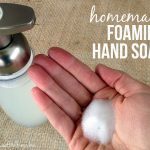 If you’ve ever wanted to make your own lotion, here’s a super simple and quick way to do it. 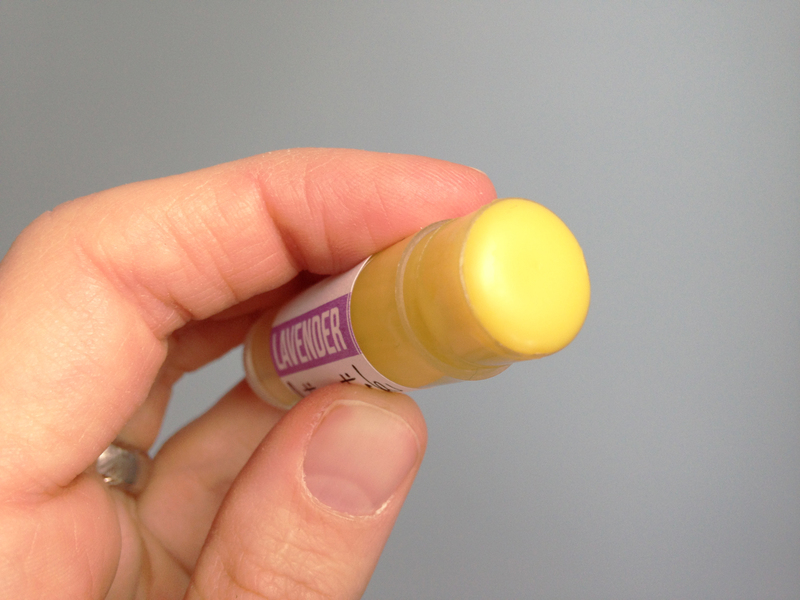 In less than 15 minutes, you can melt the ingredients on your stovetop and pour into empty chapstick containers. Perfect for moisturizing on-the-go! Each stick contains enough homemade lotion for 2-3 uses, if you like to use it all over. (Like I do.) I can’t seem to get enough of this stuff on my knuckles, finger tips, legs, and heels. It’s also great for my toddler’s dry elbows and cheeks. 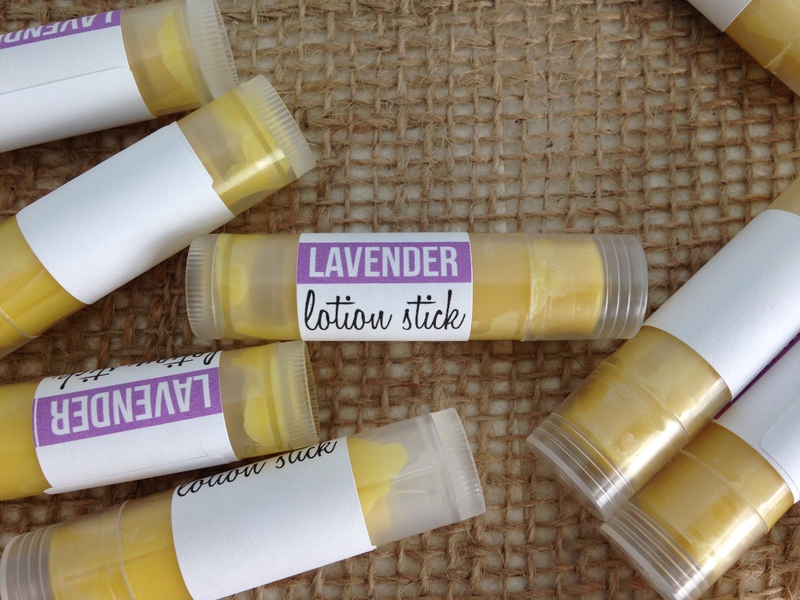 These homemade lotion “sticks” were inspired by my coconut oil lotion bars. 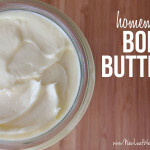 If you have dry skin, there’s simply nothing better than homemade, all-natural lotion. But don’t just take my word for it. 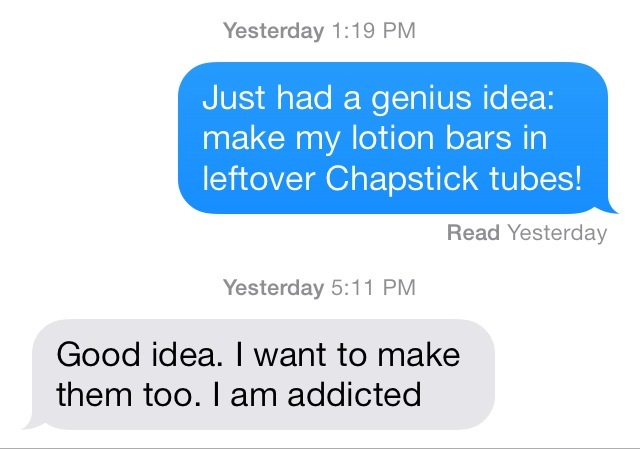 Check out these recent texts from my mom. This was her reaction when I told her I was going to make my lotion bar recipe in tubes for on-the-go. Since I also make homemade chapsticks, I designed labels so I could tell my chapsticks and lotions apart. 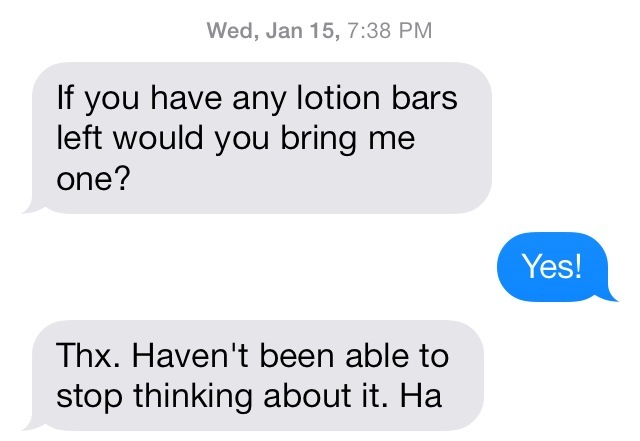 (Although I don’t see why you couldn’t use this lotion on your lips too.) The labels print right on address label paper that you can wrap around your lotion sticks! 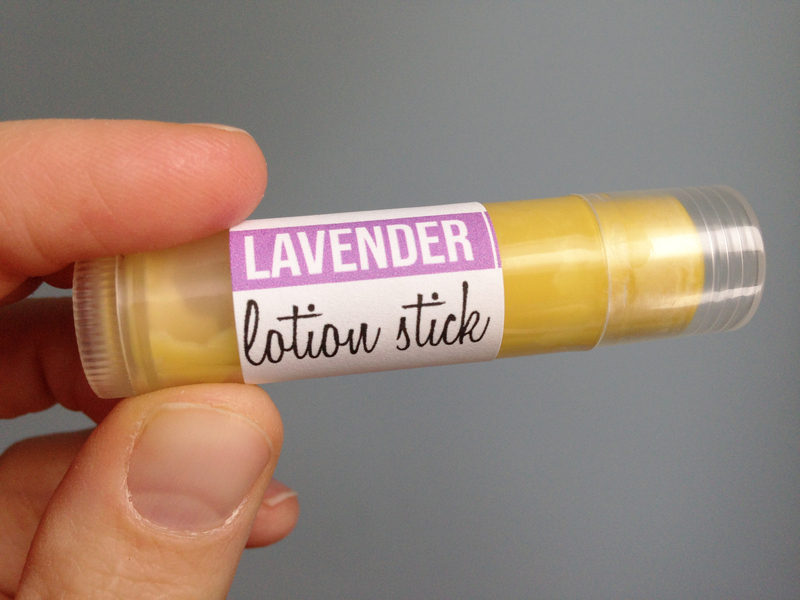 Here’s the free printable so you can use it too: Lavender Lotion Stick Printable. 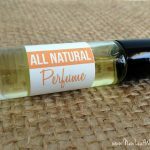 I adore the smell of my lavender lotion sticks, but if you choose to make another scent (or unscented), you can use this basic printable sticker instead: Plain Lotion Stick Printable. Simply rub on your skin anywhere that you would use lotion. On your stovetop, melt beeswax in small, nonstick pan over low heat. Add shea butter and coconut oil, and stir until they are melted and combined. Add jojoba and liquid from Vitamin E soft gels (I poked a hole in mine with a safety pin). Stir to combine. Add lavender essential oil, and stir. Once the lotion sticks harden, add a few more drops of the melted liquid to each chapstick tube so it’s is filled to the top. Take your time to make sure your tops look pretty and rounded. Let your lotion sticks cool completely, and then add their caps. Label with printable labels (optional). Enjoy and share with friends! P.S. 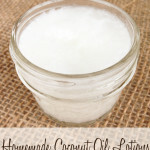 If you’re looking for ways to use up the leftover ingredients from this recipe, check out my homemade coconut oil sugar scrub, chapsticks, and simple coconut oil lotions.